Located close to Moab, Dead Horse Point State Park is one of the smaller national parks in Utah, but definitely not to be missed. In the heart of cowboy country, this landscape was treacherous for those trying to make a living here in the 1800's with steep cliffd and a harsh desert environment. 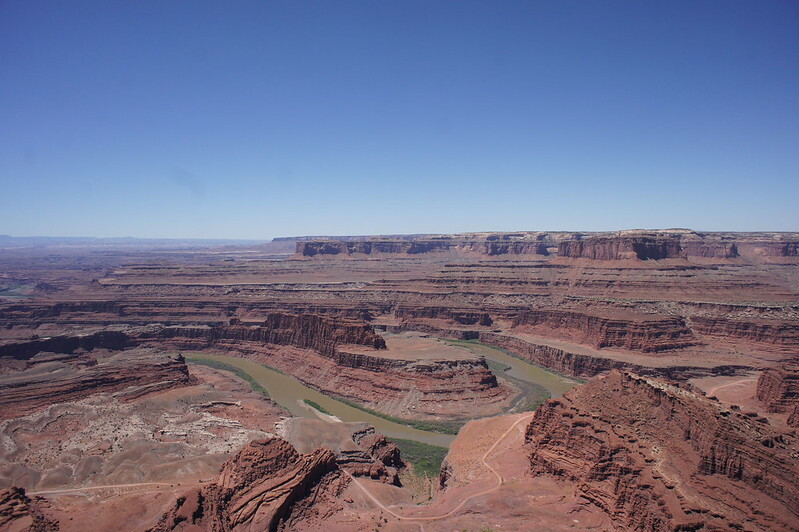 The views from the point are breath-taking, the Colorado River can be seen 2,000ft below and the pinnacles of Canyonlands National Park can be seen in the distance. Another famous movie location, the final scene of Thelma and Louise was filmed here. 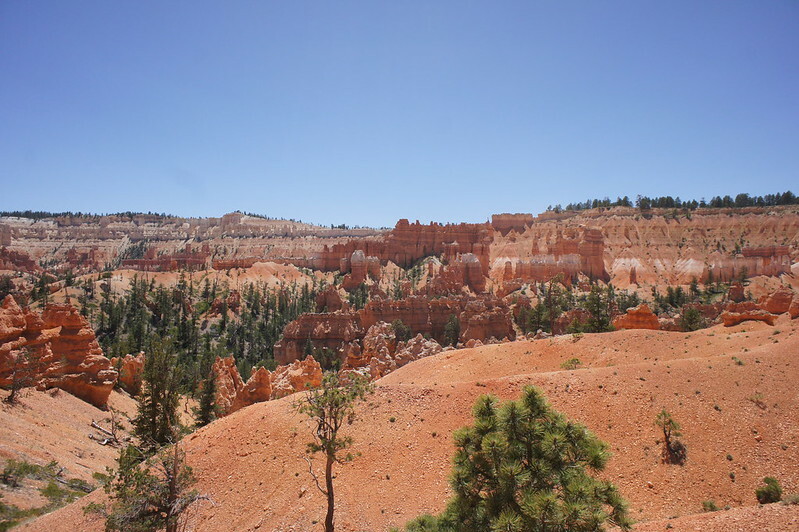 We don't usually rave about scenic roads as we tend to prefer to be out of the car rather than in, but this scsnic road between Bryce Canyon and Capitol Reef National Park is not to be missed. 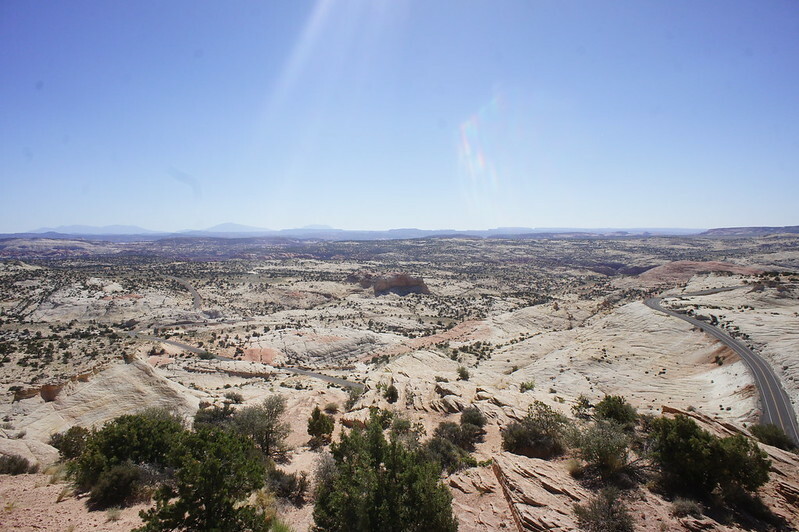 Covering a distance of 124 miles, the road takes you through forests, vast canyons and barren desert land, through an environment that was once inhabited by dinosaurs. The views give you a sense of the real scale of the country and fills you with enormous respect for the pioneers who first settled there. Not to be missed. 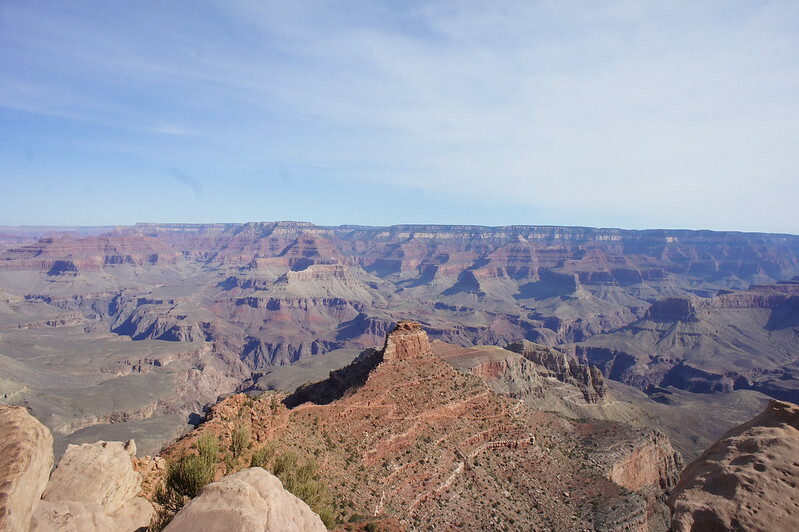 You couldn't possibly have a feature on the top views in America's South West and not mention the Grand Canyon. Truly breath-taking, each different viewing point and hike offers a slightly different perspective on what is one of the seven natural wonders of the world. With its unforgettable orange and white hues, Bryce Canyon offers some distinctly unique views. The dramatic 'hoodoo' rock formations set in pine clad valleys is like nowhere else on earth. Described by Mormon settler Ebenezer Bryce as 'a hell of a place to lose a cow' the landscape is dramatic and, in winter, brutal but a wonderful place to go and marvel at mother nature. Children will enjoy looking for the rock formation that is said to look like Queen Victoria. 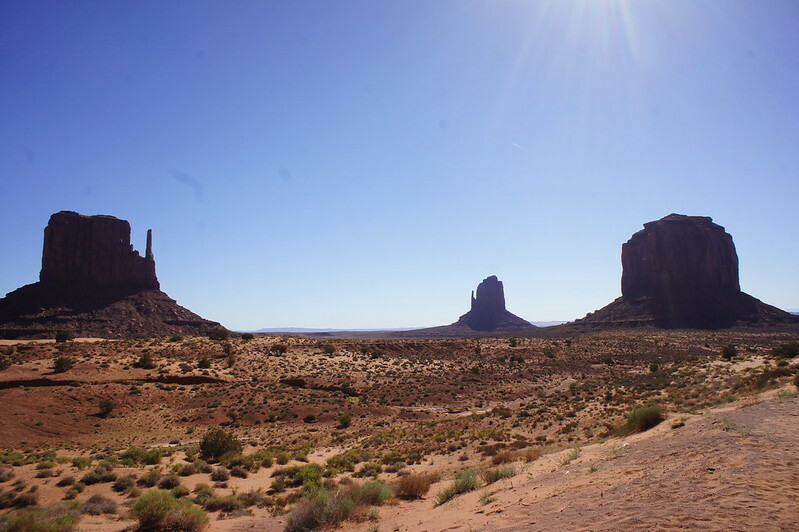 Made famous by Western films from the John Ford and John Wayne era, the landscape of Monument Valley is instantly recognisable around the world. Admittedly a bit of a tourist trap, there is no getting away from the fact that the secenry is incredible, with dramatic rock formations set in the middle of barren desert. The area is best enjoyed on a four wheel drive tour with a local guide, who will point out sights of interest and also movie locations. The tour lasts a couple of hours and whilst the Western movie context may not be that relevant to younger passengers, they will still enjoy the open top vehicles and working out the shapes of the rocks and matching them to their Native American names. With sheer white granite rocks, beautiful alpine lakes and far-reaching views, Yosemite is a photographer’s dream. 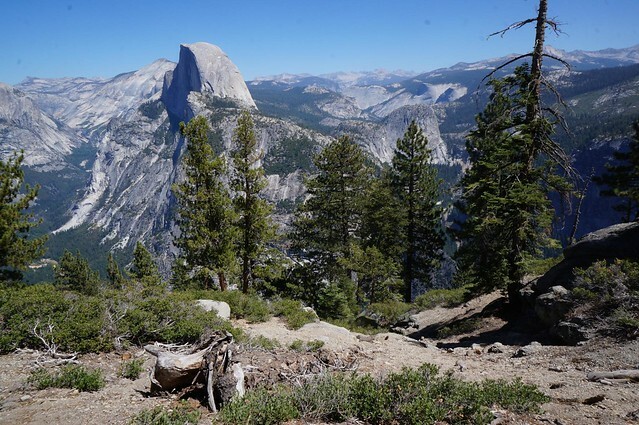 The famous Half Dome dominates most of the view points and also acts as a focal point fo rmany photos. If you look through binoculars, you can often see hikers at the top. The main viewpoint get congested during the summer, so we suggest getting there early for a breakfast with a view, or alternatively, head off on one of our wilderness treks where you don't have to share the views with another living souyl. Probably one of the most recognisable images of Northern California, the Golden Gate Bridge forms part of the Golden Gate Recreation Area. 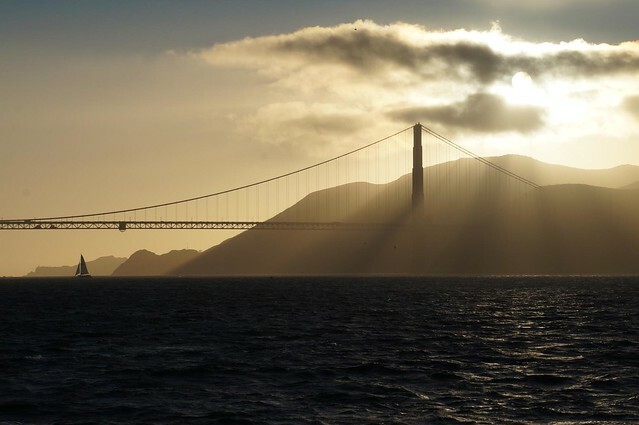 The area includes one of the most notorious prisons in the world, Alcatraz, as well as the bridge itself. Alcatraz is well worth a visit (although make sure you book in advance) and we strongly recommend hiring a bike and cycling across the bridge to teh other side of the Bay and then getting a ferry back.